Just read the feeds on my Facebook account and saw this interesting flyer from O+ USA titled Fab series. What caught my interest is the caption ‘O+ Fab NOVA 3G’ on the right side of the flyer that makes me think if this is the same device the posted before. 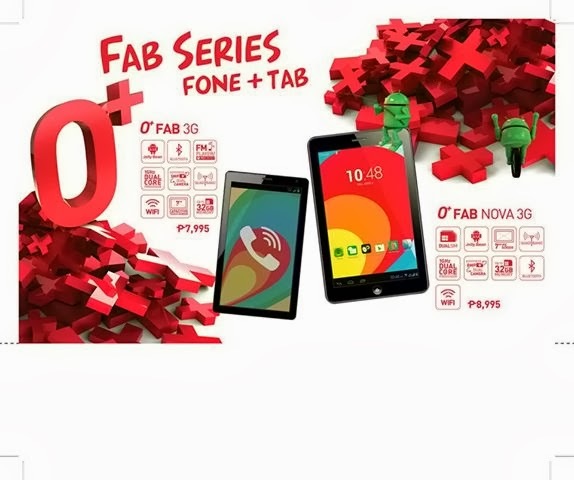 I sorted my previous post and found it was O+ Fab 3G only and this one now comes with the name Nova. I even check the specs on the previous release Oplus tablet to see if what the difference of the two is. Just tonight when I check my feeds again and saw the post from O+ pointing to respected tech blog TechPinas. I hurriedly read the article, check that out also guys and stay tune for his review on this tablet. With only 1000 pesos additional price from the first version you can get higher and clearer screen display resolution, more pixels on both camera and hopefully freebies too. I personally haven’t tried any O+ plus gadgets but based on feedbacks and comment over the web, the company earns respect from their satisfied customers in terms of quality and service. For me, no doubt that this FAB series is another hit product of this US company.